Desde hoy 13 de Octubre cuando lo pongas, hasta el 23 de Octubre a las 12 H.
Participa en el sorteo de una tabla Mulder Shapes: Medidas: 5,6' x 20' 5/8" x 2 3/8" retro con moon tail twin-fin. Tabla para un surfing estiloso y fácil que permite surfear prácticamente todo tipo de olas, con twin-fin y nose algo ancho que facilita el surfing pero a la vez le da un aire retro. El sorteo se hará el 24 de Octubre de 2017 a las 12.00 H. Se publicará el ganador en la funpage facebook @Hondar2050 https://www.facebook.com/hondar2050/ y se le comunicarán por correo electrónico los detalles de la entrega. You will take part in a draw for one UP surfboard, Funny Up model, size 5´7´´, 21 7/8´´, 3´´. This is a 5-fins shortboard with double concave, which gives an easy and funny riding. The draw will be held on 9th, Oct. 2017 at 12.00a.m between all participants (on Goteo.org, in Donostia, in Bilbao, etc..) and the winner will be announced on the facebook funpage @Hondar2050 https://www.facebook.com/hondar2050/. The delivery details of the board will be communicated by email. More info at upsurfboard.com . Your name will appear in the film´s credits+ you will receive in your home the film´s postcard in limited edition (100 Un. recycled paper 270 g/m2) signed and dedicated by Cesare Maglioni y Carlos Arrola Marés. Once the campaign is over we will contact you to thank you for your contribution and ask you for your postal address. If you like, you will receive information to take part in future voluntary events to clean up beaches with KOSTA BLUE association. Es una oferta para 2 personas. Sus nombres aparecerán en los créditos de la película + recibirán 2 invitaciones personalizadas para el estreno de la película en el AQUARIUM de Donostia. Además, recibirán 2 entradas para visitar el AQUARIUM validas durante todo el 2018. Una vez acabada la campaña nos pondremos en contacto por email para agradecerles su contribución y enviarle sus invitaciones. la invitación personalizada para el pre-estreno PRIVADO en Cristina Enea, que incluye la visita guiada a las obras con el artista Carlos Arrola + recibirá una bolsa de algodón orgánico & una chapa de metal reciclado KOSTA BLUE (diseño exclusivo Nerea Kndina). invitado a todas las convocatorias y eventos del año. nos pondremos en contacto por email para agradecerle su contribución y enviarle su recompensa. La asociación ecologista sin ánimo de lucro KOSTA BLUE, nace en Uribe Kosta y se ha organizado en pro de la protección y conservación de la zona costera en Bizkaia. Your name will appear in the film´s credits + you will receive by email a private link to watch the film on VIMEO the premier day. Once the campaign is over we will contact you to thank you for your contribution and ask you for your email. If you like, you will receive information to take part in future voluntary events to clean up beaches with KOSTA BLUE association. you will receive the invitation to the PRIVATE preview in the Cristina Enea Fundation, which includes the guided visit to Carlos Arrola’s pieces of art. you will receive at home the film´s postcard in limited edition (100 Un. recycled paper 270 g/m2) signed and dedicated by Cesare Maglioni y Carlos Arrola Marés. Once the campaign is over we will contact you to thank you for your contribution and send you your invitation. 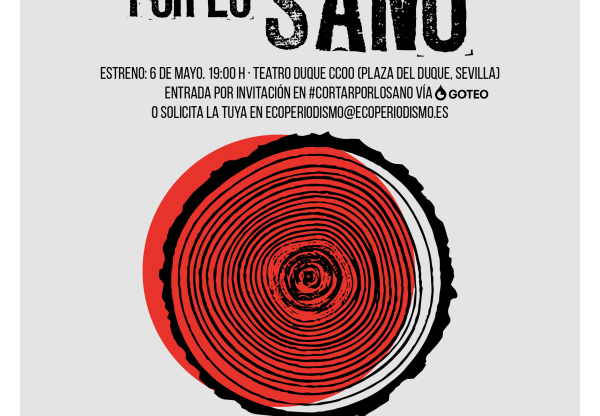 Your name will appear in the film´s credits + you will receive by email a private link to watch the film on VIMEO the premier day + you will receive a small sustainable present from SINPLÁSTICO + you will have the chance to take part in a programmed waste-fishing day out with the MATER MUSEOA association. Once the campaign is over we will contact you to thank you for your contribution and ask you for your email, send you the link and confirm the fishing day out issues. If you like, you will receive information to take part in future voluntary events to clean up beaches with KOSTA BLUE association. 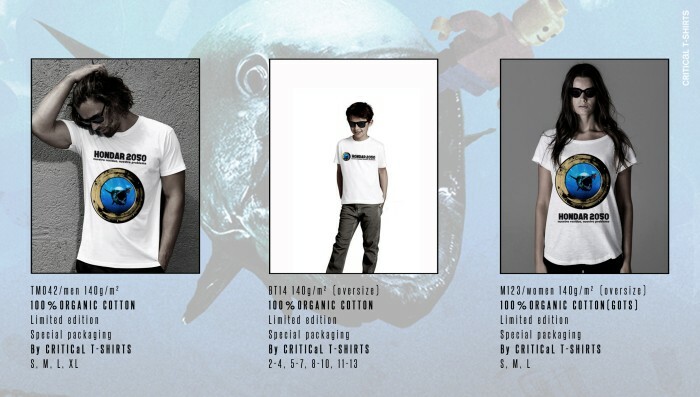 Come to the premier with your exclusive t-shirt! Your name will appear in the film´s credits + you will receive the invitation for the premier in the AQUARIUM in Donosti + the commemorative t-shirt by CRITICAL T-SHIRTS of the film (exclusive design by Carlos Arrola Marés, limited edition 100 Un. packaging special labelling, organic cotton) + a films limited edition postcard (100 Un. recycled paper 270 g/m2) signed and dedicated by Cesare Maglioni and Carlos Arrola Marés. Once the campaign is over we will contact you by email to thank you for your contribution, confirm your assistance to the premier, and t-shirt size and model (boy 4-6 7-10 11-13, woman XS S M L oversize model T, man S M L XL, slim-fit model T). Your name will appear in the film´s credits + you will receive the invitation for the premier in the AQUARIUM in Donosti + AQUARIUM + signed and dedicated DVD of the film (limited edition 60 Un. With extra contents) + poster of the film (DIN A3 limited edition 100 Un. Signed and numbered).Once the campaign is over we will contact you by email to thank you for your contribution, confirm your assistance to the premier and ask you for your postal address. Your name (and the organization logo) will appear as sponsor in every graphic element and in the film´s credits and will be mentioned in the presentation day + will receive an invitation for the premier day in the AQUARIUM + the DVD of the film signed and dedicated (limited edition 60 Un. with extra content) + the poster of the film (DIN A3 limited edition 100 Un. signed and numbered). Once the campaign is over we will contact you by email to thank you for your contribution, and arrange your sponsor details. Basic human resources: protagonists and participants, director and camera. Director	500, Dir.assist. 150, camera 1	400, camera 2	100, protagonist	393. Assembly and basic audiovisual sound (by technical staff). Editor	200, post-po audio 200. Necessary expenses for the distribution of the documentary in national and international festivals and for the production of posters, DVDs and DCP copies for cinemas. Distribution	120, posters	60, DVDs	40, DCP	300. Commissions for the financing management of GOTEO, the bank and PayPal. Detail editing, colour correction and audiovisual audio post-production by an external producer, in case the minimum budget is exceeded. . Detail edit + credits	525, colour correction	250, post-po audio	400. To include the possibility of having a sound expert in the technical team, in case the minimum budget is exceeded. Expenses for a professional audio-visual distribution agency, in case the minimum budget is exceeded. Expenses for the organisation and management of the citizen debate forum at the official premier and the world-café. Extension of commissions for GOTEO, the bank and PayPal financing management. Transportations, hotels, food, tools, petrol, insurances, informatics, translations. Transportations 150, translations 400. Additional transport, hotel, food, toll and petrol expenses for the filming and production in different parts of the Basque country and for a longer period of time, in case the minimum budget is exceeded. Expenses for presents and rewards for co-financiers of the crowdfunding. Small present + deliveries	280, DVD+ deliveries 60, signed poster + deliveries	120, t-shirts+ deliveries 80. Necessary expenses for the creation and transportation of the art work. Additional expenses for the creation and the exposition management of the art work, in case the minimum budget is exceeded. Material 320, exposition management	300, transport 100. Additional expenses for presents and rewards for the crowdfunding co-financiers. We live in a consumer society and we unworry completely about the ending of our consumer objects once they finish their useful lives... Each Spanish citizen produces annually almost 450kg waste on average, recycling less than 30%. The waste we produce we don´t want to see it or smell it. 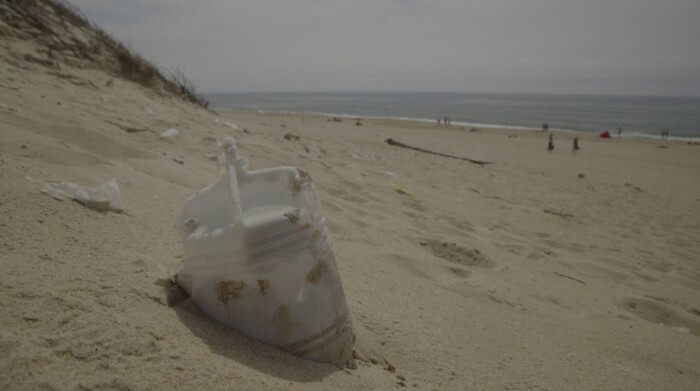 But ¿what happens when this waste gets to the sea? ¿What are the consequences for the marine fauna and flora? 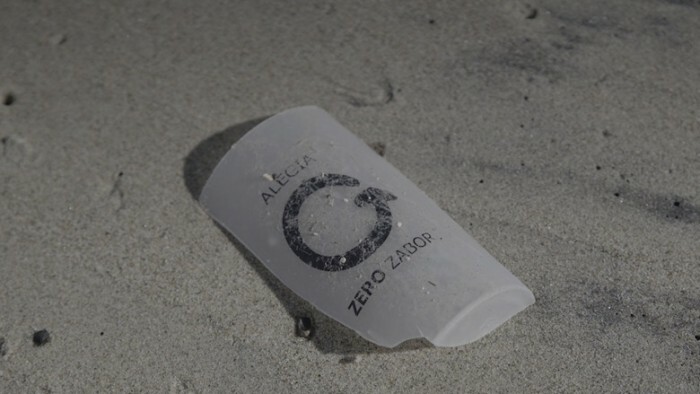 ¿and the consequences and risks of that plastic spoon which was left on the beach 10 years ago? 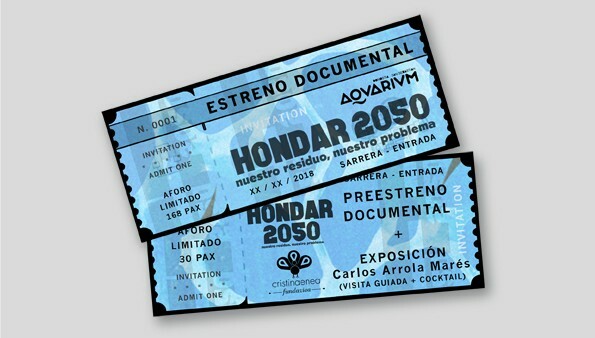 HONDAR 2050 is a triple action project. 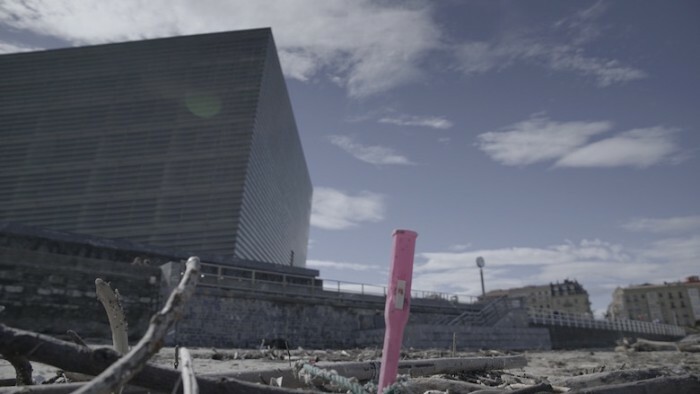 The first action is the creation of a documentary about the marine waste problem on the coast of Euskadi, by Cesare Maglioni. Thanks to this documentary we see what people don´t want to see, through the eyes of the artist Carlos Arrola and his search for answers. 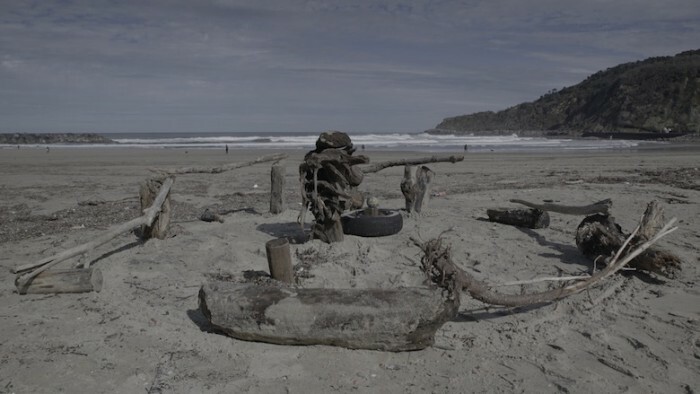 Secondly, along the narrated story, Carlos creates a number of art works with the wastes found in the sea or on the coast. It costs us to become aware of the problem but through these criticising works, our environmental print becomes visible. 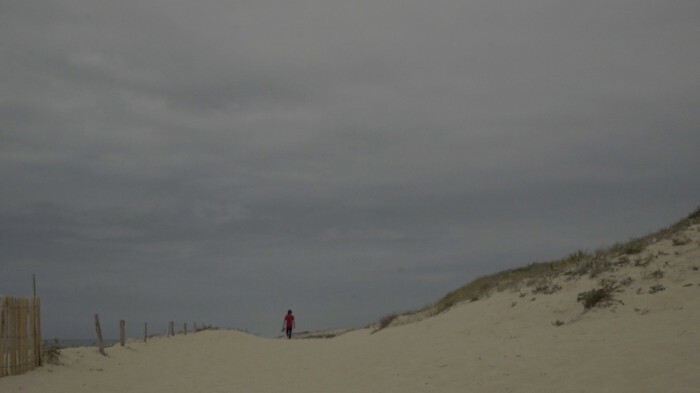 These works will be displayed in an exposition in the Cristina Enea Foundation in Donostia. The last action is based on a forum debate and citizen exchange of ideas about the marine waste problem. This encounter will take place the day of the documentary´s premier in the AQUARIUM of Donostia. HONDAR 2050 is a triple action project. 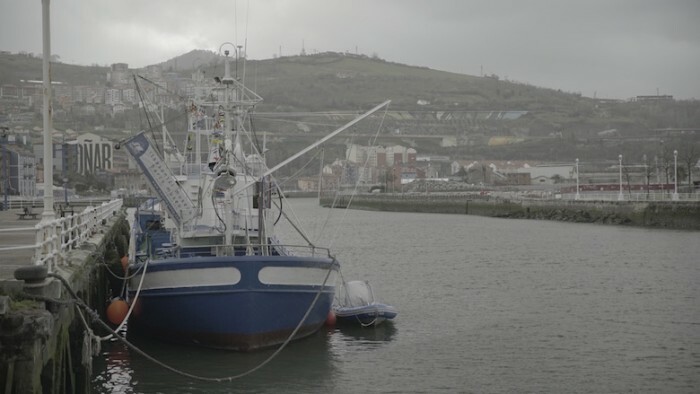 Cesare Maglioni makes a documentary about the marine waste problem on the coast of Euskadi. 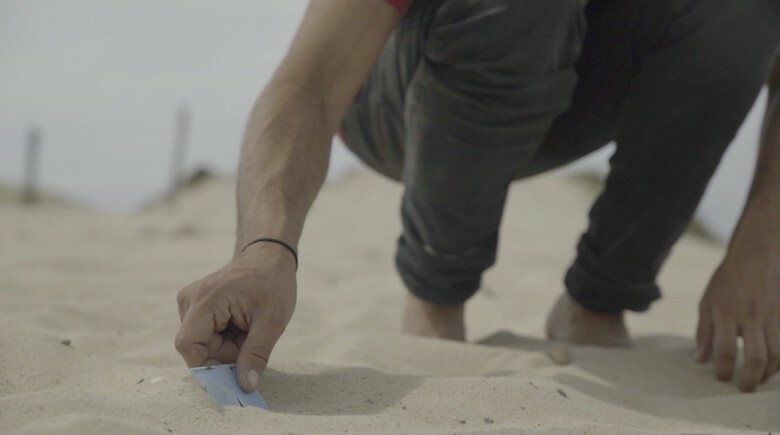 In this documentary we get to know the surfer and artist Carlos Arrola who doesn´t understand where the waste that appears on the coast when he goes surfing comes from. He tries to look for answers to the problem and we embark with him in a discovery trip, travelling the Basque coast with the Mater Museoa Association and also Surfrider Europe and Kosta Blue. 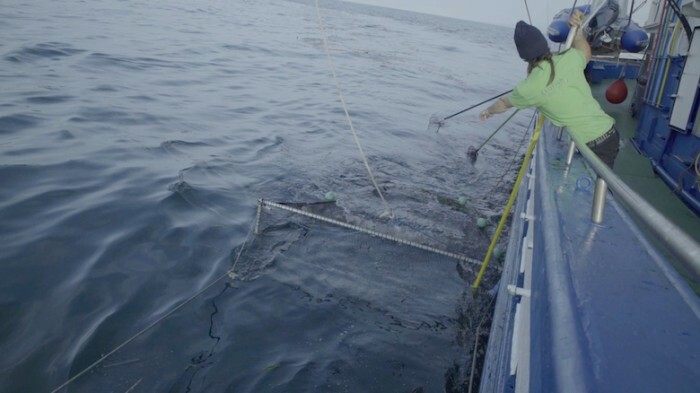 Interviewing experts in the marine field and in the environmental protection. 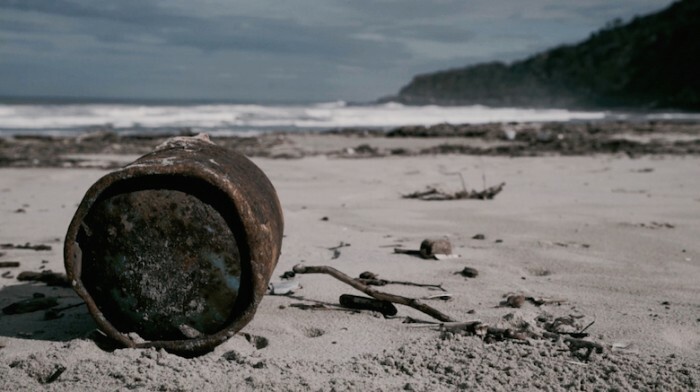 ¿How and why does waste get to the sea? And ¿why does it cost us so much to see the reality of things? So we leave on aside the true science of the environment, to dig into a less provable science called social psychology. We will analyze those so habitual human behaviours which leave an indelible print on our sensitive ecosystem. Along this trip we also find men and women who have given a step and push others, who show as the way and work to solve the problem. Carlos helps us to realise that something can be done, in our scale, not only to solve the problem, but also to involve other people in this change of behaviour. The second action is the creation of artistic works from wastes found in the sea and on the coast, by Carlos Arrola Marés. 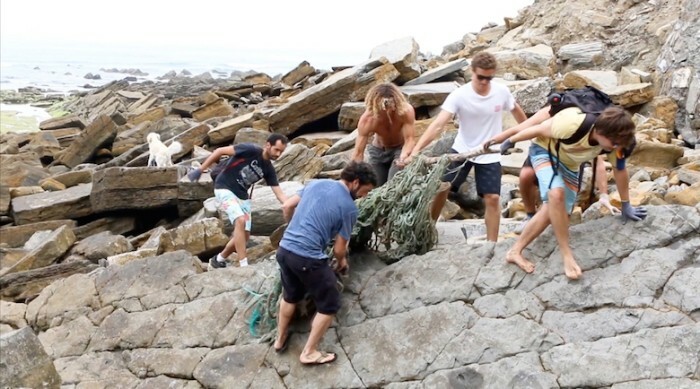 Along the documentary, Carlos accumulates pieces of plastic and rubbish found on the beaches and on the coast rocks. 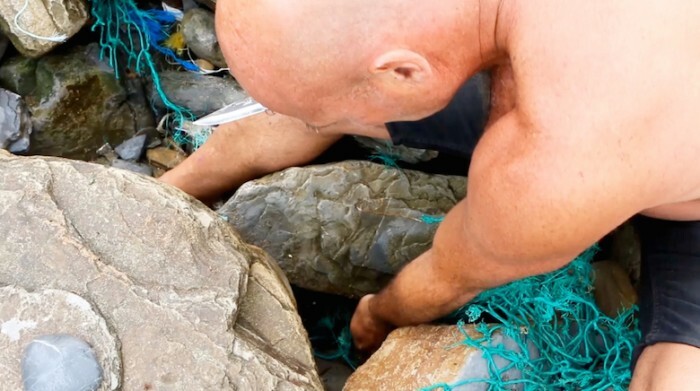 When he gets out of the water after surfing he picks up pieces of plastic to take home. This way, without realising he starts working in the creation of a number of artistic works that evidence the problem and makes us think about the consumerism, our habits and the globalization and use of our postmodern society. Little by little sculptures grow; mixing materials which come from all over the world and that have something particular in common, all of them come from the Basque coast. Those environmental prints, indelible and relatively invisibles that humans cause are now artistic works, a visible good. These works will be displayed in an exposition in the Cristina Enea Foundation. As third action a discussion forum will be encouraged where society will be able to express opinions, concerns and doubts. A forum where experts activists, volunteers and citizens will take part together to debate about this problem, provide information, and most of all suggest solutions. This encounter will take place on the documentary´s premier in the AQUARIUM in Donostia. After an hour discussing, all the suggestions will be divided in topics on a blackboard. The most recurring or common ones will be written on a letter to send to associations which are already working on this and also to the appropriate public institutions. Humans need a healthy nature and environment to live in. 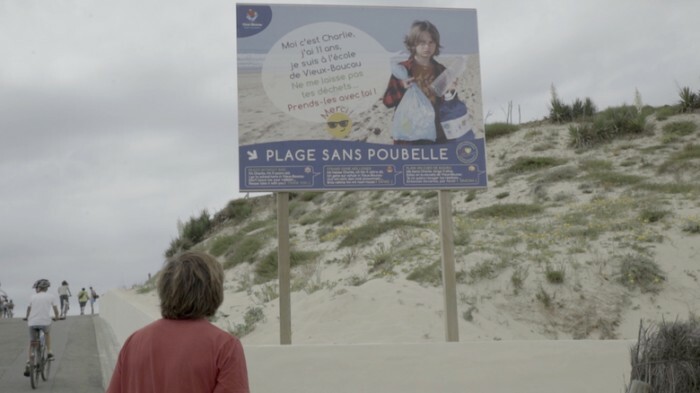 It is a serious problem and tomorrow´s society, build with today´s children and youngsters will have to take care of the environment much more than we have been able to. 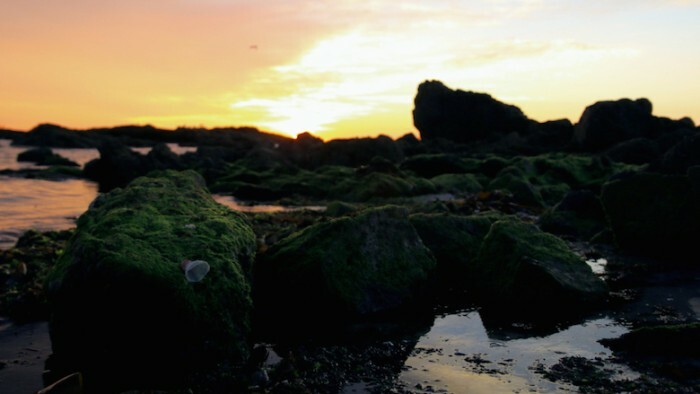 Marine litter is a known problem nowadays, although few entities worry about the true origin of the problem, which is investigated through social psychology. This Project not only covers this investigation but also suggests solutions and leaves space for citizen participation. The documentary shows a peculiar approach. The topic is treated from the artist´s intimate look, who along the narrated story, creates a number or works, transforming and giving significance to our society’s wastes. It costs us to get aware of the problem because once the cleaning companies have cleared the beaches the waste remains unseen. But in Carlos’ works our environmental print has a shape and it´s also real and visible. Hondar 2050 addresses a sensitive public. 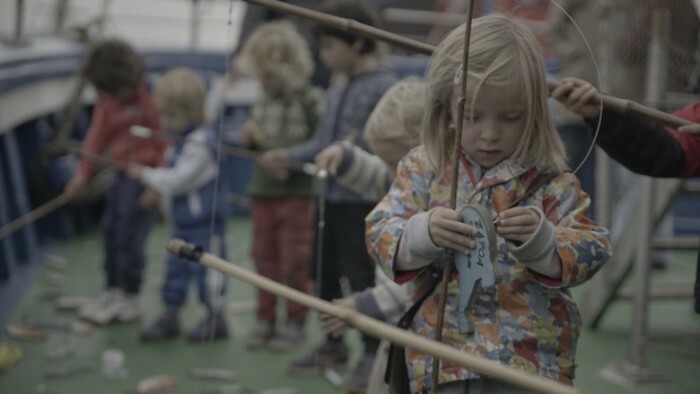 Young people related to the sea, the environment, the sea and art. Not only youngsters, but also adults and kids, as the latter are the adults of tomorrow, because of this, kids and teenagers will be our target in this awareness campaign. Carlos´ artistic and personal point of view, citizen participation in the forum and the documented story distinguishes this project from a passive and simple audiovisual classic document, proposing the viewer to take part, speak and act for the change. It has an educative component and a critical message which calls attention. The audience will be able to understand that to change the current situation, the most difficult, and also the most necessary is the change on ourselves, deep in our souls. 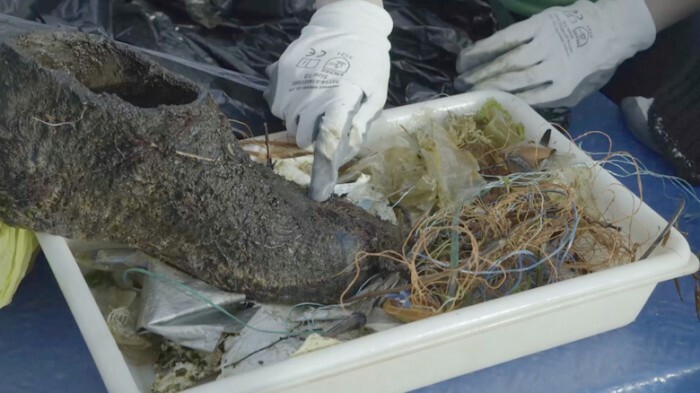 To deal with marine litter, which also affects the Basque coast, awareness actions on citizens are needed to increase consciousness and a change on our behaviour. The last object of this project is then to sensitize about this common problem. From this perspective, sounds natural that our project is done in a collective way. The crowd funding campaign is not only to raise necessary Money to carry out this project, but is also part of sensitive awareness to society. Financial support is just the first step to solve the problem because it involves three fundamental aspects: interest, take an active part and share. It is also indispensable to create the project in a professional way, to create the documentary, the artistic works and the forum previously mentioned. At the same time the interest shown and the will from each person to share become voices to spread the project to reach a wider public, to achieve a greater impact. The team is composed by the Italian Cesare Maglioni, audiovisual producer and resident in Donostia, and Carlos Arrola, humanist and artist from Bilbao. Carlos was born in Bilbao in 1982. He graduated in Humanities and Companies in Deusto University in the faculty of Donosti and afterwards settled in London for three years to complete his artistic formation graduating in Blake College 2 years consecutively and taking part in collective expositions in Shoreditch. He went back to Bilbao in 2008 to create Critical t-shirts, and exclusive clothe brand, limited editions by artists. These days he produced t-shirts, works and expositions in different cities to relate companies and art. As from 2012 he started to focus his artistic works and did some freelance works as a graphic designer, coordinator and organising cultural events. Nowadays Carlos is suffering a process of comeback into technical, social and systemic level. 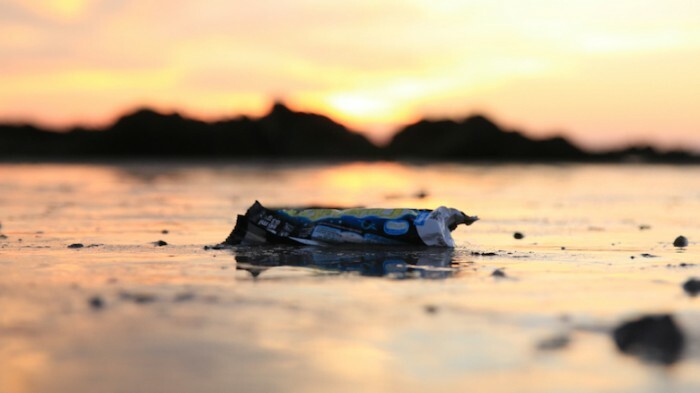 The last few years, recycling has been a connection with the association Kosta Blue, creating and leading initiatives to pick up marine waste and creative art from materials which evidence a global problem. 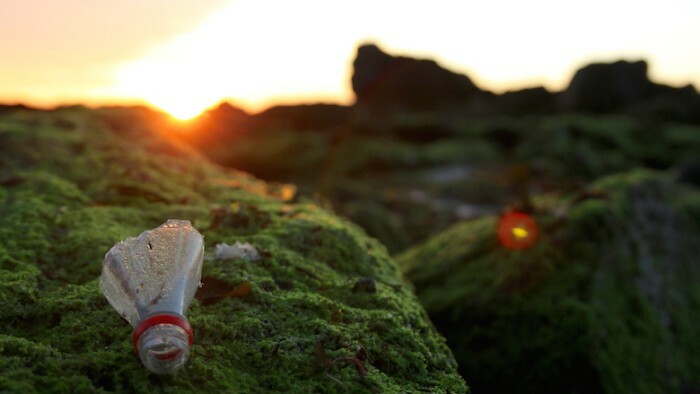 To face the problem of marine litter, which also affects the Basque coast, awareness actions towards society are needed to gain consciousness and a behaviour change. This multicultural project proposes these actions apart from a general reflection about consumerism on our days. For detail editing, possible special effects and colour correction. For the sound capture during filming, the mix and the sound post-po and audiovisual sound system. Loan of an area to display Carlos Arrola´s art work as from the next day of the premier.